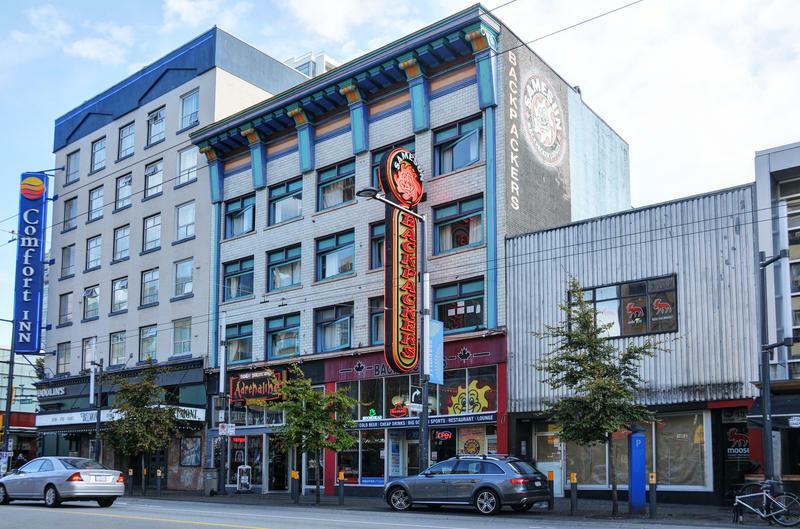 The largest hostel in downtown Vancouver with a central location in the entertainment district . We boast a clean environment with a great atmosphere and friendly staff. Everything you need in a hostel! Wifi and breakfast is included in all our prices. Breakfast consists of bagels, muffins, toast, fruit salad, juice, coffee, and tea and runs from 7:30 to 9:30. You also receive access to all of our activities and the insite of our knowledgable local front desk crew. 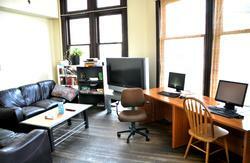 Clean, comfortable, safe and fun - SameSun Vancouver is the place to stay in Vancouver! Please note that you must be at least 18 years old to stay here and have valid government issued photo ID from outside the Lower Mainland area. From The Airport: Hop on the new Canada Line skytrain and get off at Vancouver City Center. This drops you at the corner of Georgia and Granville. 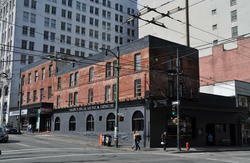 Walk three blocks south on Granville and you will see us (corner of Nelson). Cost is $8.75 weekdays and $7.50 weekends or after 6:30. A taxi will cost you about $30 from the airport. From the Bus/Train Station: Out front of Pacific Central Station you will find the Main St/Science World Skytrain. Hop on any train heading to Waterfront Station and get off at Granville Station (2 stops). 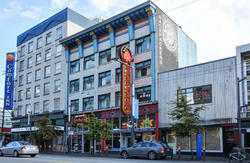 Walk left on Granville four blocks and you will see our red neon sign. The cost is $2.50. By Car: If you're driving to the hostel, follow the signs to Vancouver's city center. SameSun Backpacker Lodges is located at 1018 Granville St, on the corner of Nelson St. There are several parking lots near the hostel (including one directly behind) and parking costs about $12-$15 per day.